The Certified Nurse Aide (CNA) provides patients in medical facilities, residents in long-term care facilities assistance and clients in their homes with services that meet basic care needs. They are the people who are most likely to have regular contact with those who are dealing with medical issues or the challenges of aging. CNAs are alert to changes in the client’s condition and serve as liaisons between the people under their care and other healthcare professionals. The Connecticut Department of Public Health (DOPH) regulates the training and certification of Certified Nurse Aides. In Connecticut, there are seven eligibility routes to becoming a CNA. It is important to understand the routes because not all of them require taking or re-taking the CNA state exam. 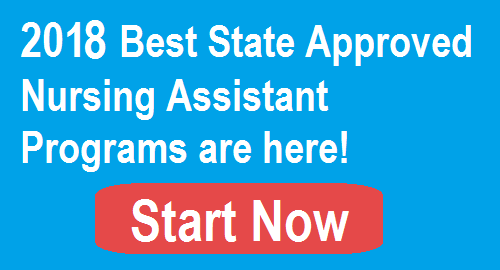 If the person completed a state-approved CNA training program within the last 24 months, it is necessary to take the CNA exam to get listed in the State Nurse Aide Registry (NAR). The training program must be state-approved. If nursing students have completed a minimum of 100 hours of clinical and theory instruction in an approved registered nursing or practical nursing program within the last 24 months, it is necessary to take the exam to get placed in the Nurse Aide Registry. If a person, 1) completed a state-approved nurse aide program in a state other than Connecticut within the last 24 months, and 2) the program was at least 100 hours of training, and 3) the person has not completed the out-of-state nurse aide examination, it is necessary to take the exam. A person who has let their Connecticut CNA certification lapse, and is not eligible for certification renewal, must retake and pass the CNA certification exam to be placed on the Registry. A person who completed a minimum 100-hour CNA program within the last 24 months, and taken and passed the state competency exam, can apply to be directly placed in the Nurse Aide Registry. The program must be approved by the Connecticut Department of Public Health and governed by the Connecticut Board of Regents for Higher Education. If a person is in good standing on an out of state Nurse Aide Registry, it is not necessary to take the Connecticut CNA Exam. Send a completed Nurse Aide Registry Application to Prometric. There are well over a 100 state-approved CNA programs in Connecticut that are offered in a variety of educational and medical facilities around the state. Students can also train in nursing homes and long-term resident care facilities. All state-approved CNA classes in Connecticut will teach the information and skills needed to pass the CNA Exam. Though there is a standardized curriculum, each school or program can require additional training hours as long as the program meets the minimum curriculum requirements. The school table includes 102 state-approved CNA classes in Connecticut. The table can be sorted by city, training program provider, contact phone and email. The list is updated in June 2017. Bristol Sheriden Woods Health Care Center Inc.
Groton Odd Fellows Home of Connecticut Inc.
Kensington Ledgecrest Health Care Center Inc.
Plymouth Cook-Willow Convalescent Hospital Inc.
Torrington Wolcott Hall Nursing Center Inc.
Windham St Joseph's Living Center Inc. When researching state-approved CNA programs, consider factors like program location, program length, time of day the classes are held and costs. All costs mentioned are subject to change by the programs at any time. For example, the American Red Cross and Gateway Community College (GCC) jointly offer a nurse aide training program in New Haven, CT that is held on the GCC campus. It is 100 hours of training offered as 4-weeks of day classes or 6-weeks of evening classes. The cost is $1,250 which includes textbooks and skills manuals. The student will have other expenses to cover like immunizations, drug screening and uniforms. The Academy of Medical Training in Waterbury, CT offers CNA training. The program is 60 hours of classroom time and 40 hours of clinical training, for a total of 100 hours. However, a student going full-time can complete the program in 2 1/2 weeks. The cost is $1,200 for tuition, registration fee, supplies, textbook and two sets of scrubs. Other expenses the student must pay include professional liability insurance and drug screening. St. Vincent’s College‘s CNA program in Bridgeport is 10 weeks long or one semester. There are 64 hours of theory education and 60 hours of clinical training for a total of 124 hours. The cost of the program is $1,500 which includes the textbook, workbook and Prometric testing. Once again, there will be other fees and expenses, like a fee for the health and security background clearance check and uniforms. Taking an online CNA program is possible. For example, the Middlesex Community College in Middletown offers a hybrid CNA program which allows students to complete courses online and fulfill hands-on clinical training. The student completes six training modules online that covers the same information taught in the classroom. The clinical training can be completed at a local nursing facility. It is important to discuss financial aid opportunities with the school’s financial aid office. Some schools have workforce training scholarships available. If qualified, a student can apply for Workforce Innovation and Opportunity Act (WIOA) job training funds which will make the cost of training free. It may be necessary to apply for entrance into the school first and then enroll in the CNA training program. It depends on the facility offering the Certified Nurse Aide training. Connecticut’s standard curriculum has a seven-module training program divided into 54 classroom instructional hours and 71 clinical hours which exceeds the total hourly minimum required by law. The clinic portion trains students in 25 competency skills. Following are some of the topics covered in the training programs. The daily work of a CNA is not routine because the needs of patients and residents regularly change. The Connecticut Department of Health has contracted with Prometric to administer the CNA state exam and maintain the CNA Registry. Applicants can test at Prometric Regional Testing Sites and in facilities like nursing homes or training program facilities where they do their training. There are two parts to the testing procedure. All the questions and skills testing concern information and skills learned in the training course. Written Test: This portion of the test consists of 60 multiple-choice questions. The test is computerized, and results are pass or fail. An oral version of the test is also available. Clinical Skills Test: Five skills are tested. Handwashing and Indirect Care are scored concurrently with the three other skills that are tested. The Indirect Care skill concerns things like infection control and resident comfort. The exam taker must pass all five skills. Prometric offers Nurse Aide Practice exams and Clinical Skills Readiness Test practice exams. The practice exams are accessible online. If someone fails either section, only the failed section must be retaken. CNA Certification requirements say an applicant must pass both exam sections. After passing the written and skills tests, Prometric will add the applicant’s name to the Connecticut Certified Nurse Assistant Registry. At that point, the applicant is certified in the state. The name is never removed, even if certification is lost or expired. The status of the certification is shown in the Registry. CNA certification in Connecticut must be renewed every two years (24 months). Eligibility to renew CNA certification requires working as a paid CNA for at least eight hours within the prior two years. The certification two-year renewal period count begins on the last day worked as a CNA. The employer must submit one of the Employment Verification forms to provide specific employment information. The form is mailed or faxed directly to the CT Nurse Aide Registry Program.